Ramy Habeeb was a high school English teacher in Okinawa for three years. During that time he coached several students to win back-to-back national speech competitions, and even won a teaching award himself. He later went on to found Kotobarabia, the first Arabic language ePublishing house in the Middle East. Now cursed to live for all eternity in the darkness of Edinburgh, Scotland, he feeds nightly on the blood of innocents and writes stories for kids. 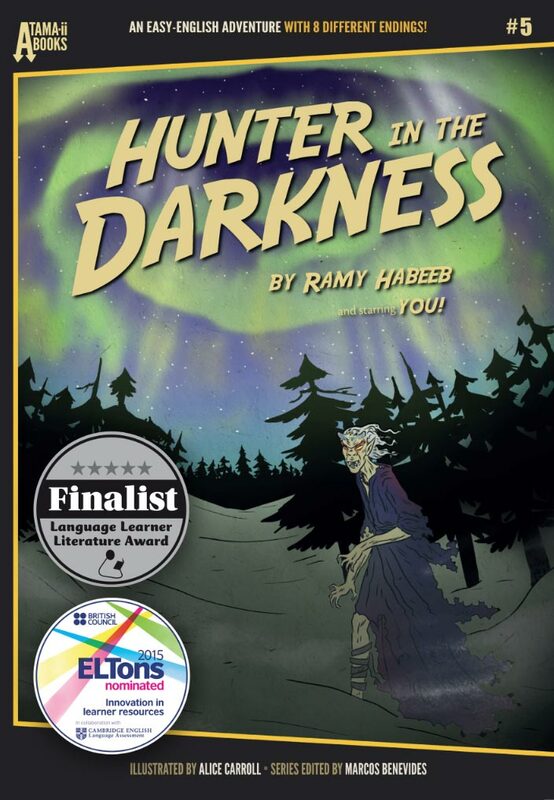 Ramy’s title Hunter in the Darkness was a finalist in the Extensive Reading Foundation’s Language Learner Literature Award in 2015.